At BEC Integrated Solutions we offer our BEC Villa Video Intercom System which is a single tenant video intercom system that has proven to be a reasonably priced security option for small single tenant buildings. These single tenant systems are designed for monitoring units with one to three entryways. Our system requires the installation of six conductors; four 22awg cables for video/intercom and two 18awg for power. Two of the wires are for power and the other four are for the intercom and monitor. The single tenant video intercom system is perfect for the access control of property with entry through one to three gates or doors. The video intercom system color monitors that we offer have many features that should be considered before selecting the right product for your security needs. As many as six video monitors can be used in conjunction with the single tenant video intercom system. 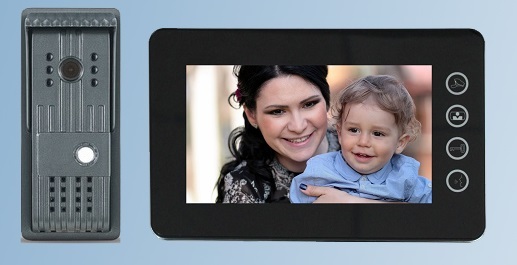 Our color video monitors’ screens spread from 4.6 inches to 10 inches and they have auto viewing capabilities for more accessibility. After the resident has been recognized, the single tenant video intercom monitor allows the supervisor to unlock the door using a button on the monitor. The supervisor also has volume control and brightness adjustment capabilities from the monitor. 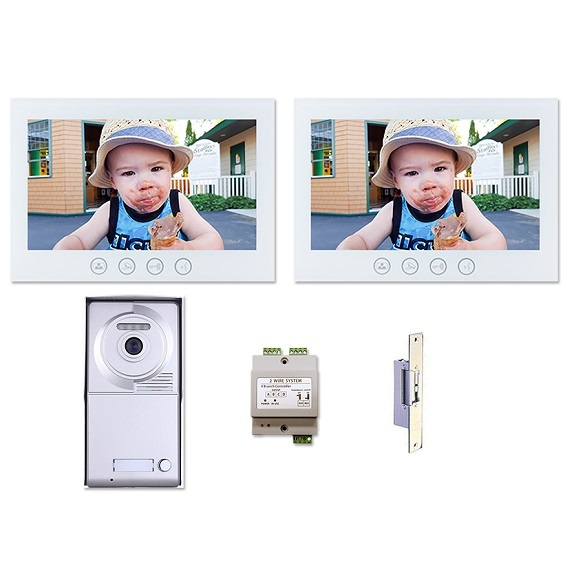 Compatible with our single tenant video intercom systems are monitors with picture memory capabilities in order to store the last 100 photos taken. These stored photos will include the date and the time stamp for reviewing purposes. 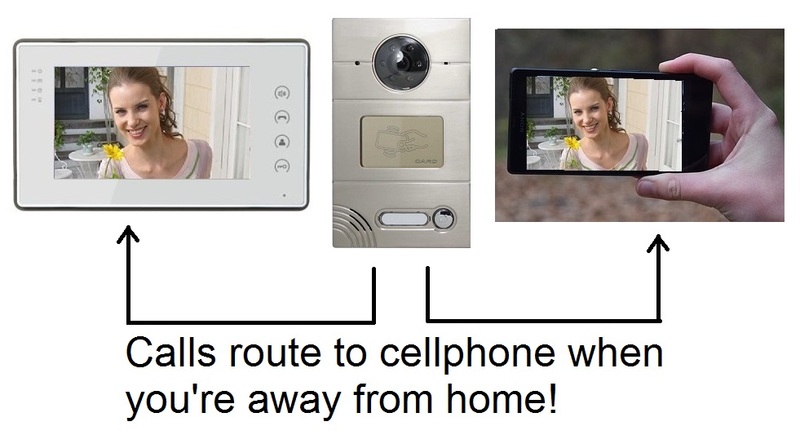 Our BEC Villa Video Intercom System can connect with up to three door entry units. This single tenant video intercom’s cameras have infrared night vision for around the clock security. There are several styles of video door units offered. Some options have card readers while other options do not. The card readers are paired with access control key cards for quick and secure entry. The single tenant video intercom system’s door entry units also have 12 VDC electric strike locks that can be wired directly to the door unit without needing an extra source of power. 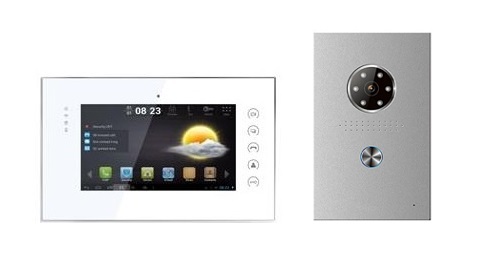 Any single tenant entryway will surely benefit from the installation of the BEC Villa Video Intercom System. Our Two Wire Video Intercom System features a choice of black or white, seven inch, fully mirror-polished monitor. This system allows two-way communication between all connected monitors. Other features include choice of tones for door bell (9 choices), an outdoor station allowing RFID card and key fob access, and one outdoor station with as many as three indoor monitors. Need a multifamily video intercom system quote? Click Here.